SO, Fred Smith, founder of Fed Ex has offered up $10,000,000.00/year for up to 5 years to the Big East and at least one other conference if they will take the University of Memphis into their conference and get the school out of Conference USA. It has caused an uproar around the country with people screaming that it is horrible he would do this. here in Memphis, most seem to be OK with this man spending his own money to help the main college in the town that is so important to his company. One thing not talked about much is that his son is going to be the QB for the football team this year. Ya think Fred is hoping this offer to help the entire school will ensure sonny boy the starting role? Does it even matter what is motivating him? I have no real feelings on this whole thing. With all the schools moving conferences this week and the Big 10 now having 11 schools and the Big 12 with only 10 schools now...with schools like Colorado now in the PAC 10 (making it 11 teams there), do conferences even count anymore? When a schools like Marquette, Cincinnati and DePaul in the Big East, does location even count anymore? 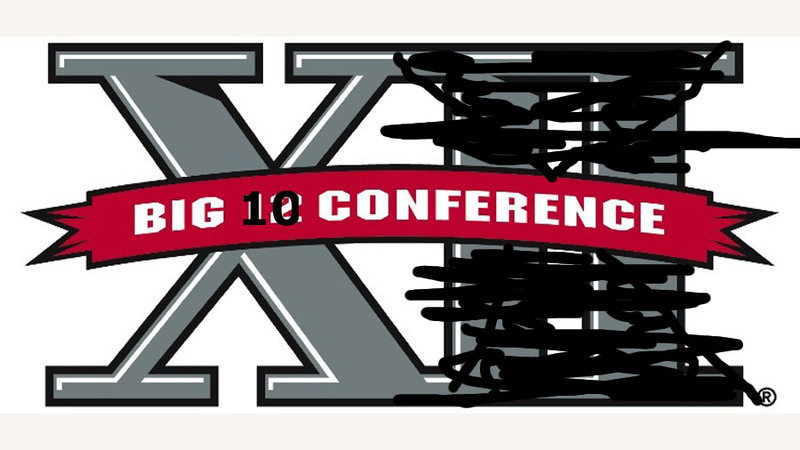 In a few years the Big 10 and the Big 12 (with however many schools are actually in the conferences) decide that they are strong enough to tell the NCAA to stuff it, do conferences even matter any longer? If we get rid of conferences, can we not then push for a playoff system in football to mirror (with less teams entering) March Madness? Brett Favre’s(notes) doctor indicated Wednesday that the quarterback’s recent ankle surgery went well and that he has a few more weeks of rehabilitation before he decides if he will return for a 20th NFL season. OK folks, if he is NOT planning on returning why have the surgery? This procedure removed some scar tissue and bone spurs and if all Brett was planning on doing is riding his tractor and watching the NFL on TV, the surgery would not be important. well, that is, unless those Wrangler commercials where Brett and his good buddies are playing touch football can not be filmed without the operation. Thanks to all y'all who jammed out on my Facebook page and here yesterday. Man, I thought I would feel different turning 27, but I don't at all! Is this an example of remove foot from mouth, insert other foot? 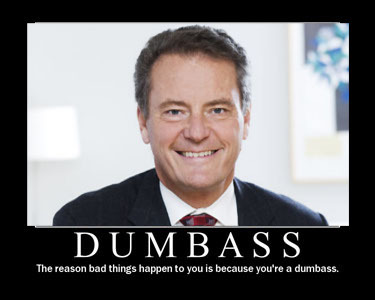 BP Chairman Carl-Henric Svanberg made the announcement that his company would put together a $20-billion fund for victims of BP's greedy stupidity causing so much harm to the people and environment of the Gulf. Then the d**che-bag states "I hear comments sometimes that large oil companies are greedy companies or don't care, but that is not the case with BP. We care about the small people." SMALL PEOPLE???? Who is considered small Mr. "get a real name'? Anyone who can not afford a 69-foot yacht as he owns? This company is run by a bunch of people whose mouths and brains are obviously not attached. CEO Tony Hayward has certainly made more than one remark that his momma should have slapped him for, and now Carl (screw the hyphen first name thing) is showing he is just a stupid. I heard that comment from the BP moron yesterday, and it was prefaced by the reporter explaining it was a mistranslation b/c of his poor english. Yeah, right. I'd call it a freudian slip just further showing BP's true colors. I actually in a small way hope the oil makes it to the main current and lands in Europe, than we'll see how they respond, when its their land that is threatened! Actually, the Big 10 does have 12 schools. Penn State joined several years ago as the eleventh school, but the conference never changed their name. I guess conferences are not allowed to be tagged with odd numbers like the Big 11 or the Lucky 13. I'll share my thoughts on the Big 12 tomorrow. See ya then. One of the reasons I've never gotten in to College Football is because there is no champion (based on a playoff game) at the end of the year. I'd love to see College Football playoffs in the same form as College Basketball. And BP? Let me tell you who doesn't care about the SMALL PEOPLE ... those of you boycotting BP and hurting your local communities. Well, the Pac-10 was originally knows as the PCC when it was founded in 1915. It's had a few unofficial names since then, most recently the Pacific-8. Then Arizona and Arizona St joined, creating the Pac-10 as we know it today. Or as we knew it until a few days ago when Colorado signed on. And then if Utah joins, I suspect we'll get used to saying Pac-12. It's that odd number, Pac-11, that sounds weird. Maybe the Big 10 (11 soon possibly to be 12) and the Big 12 (11 soon possibly to be 10) can just swap names. Or maybe they can merge completely and just be known as The Mega. DANA: We disagree on that dear. How do you show your anger and frustration at the companies lack of concern for the people and environment? As soon as I heard the "small people" comment, I knew it would be a jumping off point for many. Poor choice of words for sure, although I 'm not convinced the intent and the reception are the same. College football...seems like a big mess to me. Favre...Play or don't play, I could care less. I generally like him as an athlete. (although he takes a lot of unnecessary risks throwing) As a member of the population...I wish he'd get over the "indecision" for the media hype aspect of it. I think Fred Smith should match dollar for dollar his offer and send it to the Gulf. Then I'll take him seriously mmmmmmaybe. Son starting...yeah...uh huh. And being the small person I am, I shall go now. I don't think the schools that are changing conferences are that big of a deal. Ever since the old Southwest Conference broke up 20 years ago and Texas joined what was then the Big 8, it was clear that Nebraska was going to be a second or third tier program in that league. Same goes for Colorado. Oddly enough, Colorado has much more in common with the Pac-10 schools than the Big 12. The majority of their athletes are from Cali anyway. I don't know where BP finds these morons. Firs the "I want my life back" line from one of them, now the "small people" remark? Idiots. They're all idiots.